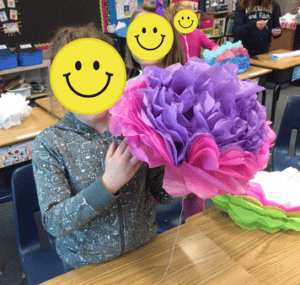 Please STOP buying paper flowers for your classroom! Seriously, STOP! 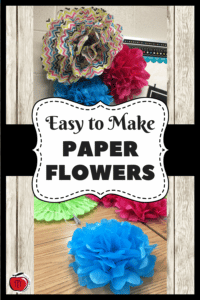 Why would you pay good money for those super cute tissue paper flowers when you don’t have to. 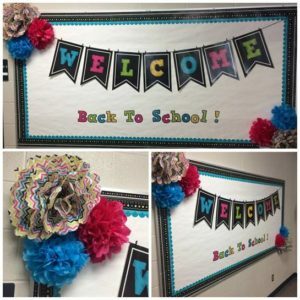 I use to spend money on buying tissue paper flowers to decorate my classroom and bulletin boards until I figured out how to make my own. It is surprising how EASY they are to make. I bet this is something the manufacturers of them don’t want you to know. They are so easy to make that I even teach students how to make them. I use to be stuck with the colors that were offered in the stores. No more! I can make them whatever color/design I want to. Do you want to know how to do it yourself? I hope you are saying “yes” right now! Click here (or any picture) to get step-by-step instructions on how to make your own for a fraction of the cost that you can buy them for. Alright, I bet some of you are saying that it is much quicker to just go buy them. It only takes about 10 minutes (or quicker if you have quick hands) to make your own. I will gladly give up 10 minutes of my time to have the colors and designs I actually want. Oh yeah, I almost forgot to tell you…….. You can also make them whatever SIZE you want! 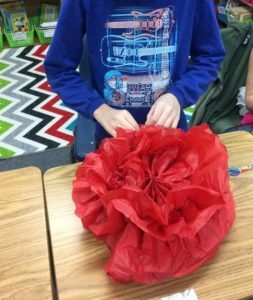 So check out the easy, step-by-step instructions and start gathering whatever types of tissue paper you want! 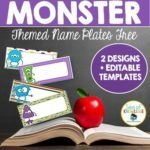 Sea of Knowledge’s Free Name Plates Monster Themed! Hi Friends! My name is Terri and I am a full time teacher, mom, and teacher author. I have both my Bachelors of Education and a Masters degree in Educational Leadership. I currently teach grade 3/4 and I love it! 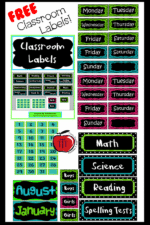 I have been teaching for 14 years and have taught everything from 1st to 7th grade and Learning Assistance/Resource. These experiences have given me great exposure to a wide variety of students and learning styles. I use my past experiences and research to create products that have all students in mind. 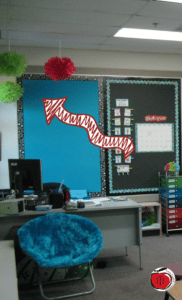 I am a big proponent of differentiated learning and reaching all students at their level. « Moon Phases with Oreos, Oh My!